How to choose between 10-15 and 20 yard fullness? 10 yard skirts are the absolute best for full flight- they lift easily and extend 180° for high sustained flight without too much effort, and are full enough for shoulder high gypsy skirt work.To get a fuller flouncier silhouette wear another skirt under or over your 10 yard skirt! 20- 22 yard tiered skirts make for a fuller fluffier silhouette and are great are for extreme overhead gypsy skirt work, extensive tucking and general flouncing! Circle Skirts came later as fabric started to be produced in wider widths. They are most associated with sweeping skirt work found across many cultures, From Russian Gypsy Dance to Caribbean Sega,to Mexican Folkloric! Nothing is more dramatic! Single Circle the top tier is a complete circle, great for all out one handed spinning and shoulder high skirt work! The 25 yard tissue or “fluffy” skirt is an example of a single circle top tier- but with 3 gathered lower tiers the volume and scope easily matches a double circle skirt - Many Russian Gypsy dance Teachers recommend this style as an underskirt worn with a double circle skirt. 1 1/2 Circle the top tier is a circle and a half- plenty of scope for overhead work and general tucking and spinning! Double Circle Required equipment for Russian Gypsy dance! the very definition of overhead double handed skirt work with extravagant fullness! please note, Circle skirts have equidistance points along the hem that will hang longer where the bias makes the fabric stretchy. Most dancers place the "dips" strategically and use them in equidistant tucking. You can minimize the dips by storing your circle skirt folded or flat, not hung. Cotton is great for easy care durability and light weight strength, Rayon is springy and responsive, making it the best fabric for full flight and spins. Silk is the best of both, light yet strong: Floaty, yet incredibly responsive and flight worthy. Nothing compares with a weighted hem silk skirt! I like to use this metaphor; the extra full light weight cotton skirts like the 25 yard skirt are like ostrich feathers- wonderful for display and amazing to ruffle and flutter with- but for strong swift, sustained flight- choose a precisely engineered rayon challis or silk skirt with a weighted hem. Extreme spinning is achieved with a heavy mirrored band at the hem. My mirrored skirts inspire special choreography and have thrilled even the most experienced dancers! The short skirts are a surprising cross- over hit for me, I originally designed them for girls, but the adjustable elastic waist fits adults as well as kids, and sure enough- adults were snapping them up at festivals, for teaching ( so students could see their legs),for contra, folk, and salsa dancing , for resort wear,and for wearing around town! The Cotton and rayon skirts are also appropriate for street and evening ware and garner enthusiastic compliments! The cotton 10, 15 and 25-yard skirts can be hand or machine washed gentle cycle, and hung to dry. They can also be dried in the dryer- but may need touch up ironing to regain length and flow. Don't clean a skirt unless it gets soiled, because washing will encourage fading and wear and tear! Rayon Challis Ten Yard Skirts and Rayon Challis Spinning Skirts.--The springiness that makes this fabric so wonderful for twirling also makes it unstable when washed- depending on how it has been finished it may either shrink or relax when washed so dry cleaning is best-- the inexpensive bulk method works just fine. Skirts with Mirror work need special handling: avoid garment cleaning them as much as possible- if you wear your skirt over bloomers, occasional airing or smoking will keep your mirrored skirt fresh for years and years. Spot cleaning is best if your skirt gets something spilled on it, and good professional dry cleaning the best way to go if overall cleaning is needed. To air your garment, literally hang it inside out in the fresh air and sunshine- yes sunshine actually kills bacteria and freshens garments. ( be sure not to overdo, sunshine can also fade and weaken fibers). To Smoke your garment, first form a smoke enclosure from your bathroom or porch (make sure it is a room you can air out later). Hang the garment inside out, set herbs or incense burning- and leave the space enclosed at least an hour or more. Then air the skirt as described above. experiment with different scents and herbs. The smoke has a anti bacterial effect and is surprisingly effective in keeping skirts fresh. Skirts made with Indian Saris need gentle handling, dry cleaning recommended or hand wash in cool water and hang dry . Do touch up ironing with a cool iron. The waist/ hip size for all my dance skirts is determined by the physics of flight! With enough fabric for full extension spins, they fit hips up to 60 inches with an Adjustable elastic waist. Skirt length is an individual decision. It depends on your high/low waist or hips wearing preference and what length you desire for your particular dance style. 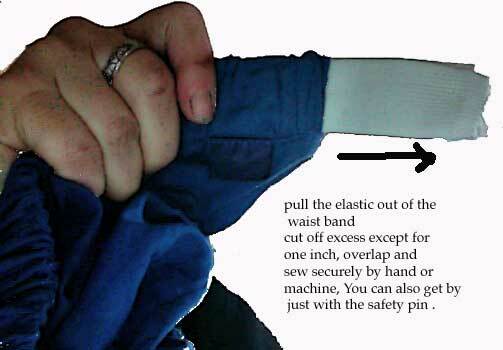 DO NOT USE YOUR INSEAM MEASUREMENT - IT IS ONLY FOR PANTS NOT SKIRTS!. To measure your skirt length, stand next to a wall or doorway and make a mark on the wall where the top of your skirt will be. Measure from the mark to the floor. This is the length you should order if you want the skirt to be close to the floor. Subtract 1 or 2 inches. If you want the skirt to brush the top of your feet or ankles. To finish the elastic in the adjustable waist band, cut off excess except for one inch ( you can keep the elastic doubled or if you need more room unfold it and use it single), overlap and sew securely by hand or machine, You can also get by just with the safety pin (many dancers have), but be sure to finish the raw edges so they don't unravel. You can use fray check or a household glue if you are careful. Dancers with a bountiful derriere sometimes shorten just the front of the skirt to even things out - you can do this by just folding the front over and securing with a safety pin at center front- or you can follow the directions below.